Ringway has been awarded an extension to its highway term services contract with Bracknell Forest Council, five years ahead of time. Following its 2018 Annual General Meeting, the council confirmed that Ringway had met the required criteria for a fourth year’s contract extension out of a possible seven. 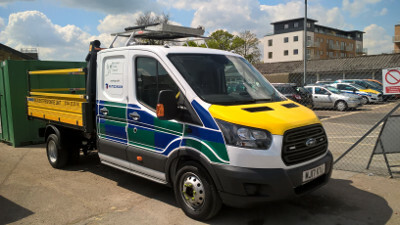 This means that Ringway, which began what was a seven-year contract in 2014, will remain the Bracknell Forest term services contractor until at least 2025. Annual spend on the contract is approximately £10m. A council spokesperson told Highways that spend between October 2017 and September 2018 was £9.3m, including work on additional infrastructure projects funded by central government. Ringway said the latest contract extension is testament to the excellent relationship and collaborative spirit has existed between itself and the council since 2004. Regional director Nick Goddard said: ‘I am delighted that Bracknell Forest Council continues to recognise our performance and the strength of our offer by the award of another years’ extension.